It has been a busy year for WhatsApp, in both good and bad ways. The Facebook-owned instant messaging application has been in the news for all the wrong reasons like the fake news menace. To combat that, WhatsApp has reduced the number of people you can forward a message to at a time to five. The messaging platform is also partnering with other companies like Jio to educate users about fake news and how they should stop forwarding messages to friends and family without verifying them. Apart from this one bad, WhatsApp throughout entire year has introduced great features for its users, the recent one being the Stickers feature, which is now available o both iOS as well as Android users. Let’s take a quick recap of all the features WhatsApp has introduced this year and how they work or are helpful to make daily life easier. WhatsApp introduced this feature very recently. As the name suggests, the Private Reply feature lets users send messages privately in a group without letting others know about it. To use this Private Reply feature, you’ll need to hold the message of the sender, tap of the three-dot menu on the top right corner of the window, and click on the Private Reply option. On clicking the option, WhatsApp will take you to a separate page where you’ll be able to message the chosen group participant without others knowing. This feature is currently in its beta stage and is available for Android users with beta version 2.18.355. We expect the stable build of the feature to roll out soon. The feature was first made available in beta and now it has been rolled out to everyone. All the Android and iOS users who have updated their WhatsApp version to the latest one will be able to use this feature. WhatsApp has included a separate Stickers option right next to the chat box. The feature comes along with some Sticker packs and if you want more of it, you can head to the Google Play store and download new ones from there. As the name suggests, the feature plays the consecutive voice messages without the need for the user to tap of the play button. Earlier, to play a voice message, users had to click on the play icon everytime a new voice message appeared. But this feature automatically plays the voice messages one after the other. The feature is currently available to iOS users who have updated to the latest version of 2.18.100. WhatsApp has also brought the feature to iPhone XS and XS Max. WhatsApp also introduced Silent mode feature a couple of months ago. The Silent mode feature allows users to hide the notification dots for the muted chats. This feature is currently available only to Android users, and possibilities for it to come to iOS are high. To recall, previously, users used to receive silent messages even though a chat has been muted, but with the coming of Silent more feature, this has been rectified. WhatsApp tests new features all the time. Similarly, reports now claim that the Facebook messaging application is testing a feature called Vacation Mode. This feature, when it officially launches, will let users archive chats that have been muted, to remain archived when a new message arrives. As of now, WhatsApp automatically unarchives an archived chat once a new message arrives. This feature was recently spotted by beta tracker WABetaInfo and reports are that the feature will come to Android, iOS as well as Windows users very soon. Like Facebook or Instagram, WhatsApp is reportedly testing Linked Accounts feature which will basically let users link their WhatsApp account with external services. This feature is mainly being tested for WhatsApp Business users, but we believe, the feature could be made available to all WhatsApp users as well. As of now, there are no details on when the feature will be made available to the WhatsApp users. If reports are to be taken seriously, the Linked Accounts option will be available under the Profile settings on WhatsApp. WhatsApp has introduced several interesting features, and one of them is the Picture-in-Picture video feature. Initially, the feature was made official only for the iOS users but has now been rolled out to the Android users as well. The feature, as the name suggests, lets users watch Instagram, Facebook, and YouTube videos within the WhatsApp chat window. On clicking a link, the video will appear on the small square box in the chat window. With this feature, the WhatsApp users can now message and watch a video at the same time, without having to close the messaging app, which wasn’t possible previously. Another useful feature that WhatsApp introduced was the Swipe to Reply feature. This feature was launched for the iPhone users way before it arrived for the Android users. The Swipe to Reply feature was rolled out to the Android users only last month. As the name suggests, this feature lets users respond to a message without having to open the WhatsApp app. The users will just need to Swipe the message and the message box will appear and the users can simply type the message and send it. Reliance Jio had long ago announced that they are working to bring WhatsApp support to the JioPhone users. And the promise has finally turned into a reality now. WhatsApp is now available in JioStore for the JioPhone users to download and install the app and use the messaging application on their feature phone. The Status feature section was launched around November last year, and the feature is available to all users right now. The Facebook-owned messaging platform has updated the feature and has introduced a search option for the Status tab. With the new Status search feature, users will be able to search stories from a specific contact directly. This feature is currently said to be available for the iPhone users only, but we expect it to come to both Android and Windows very soon. As noted, WhatsApp was in the news for the spread of fake news across the platform. On account of reducing the spread of fake news, WhatsApp introduced several new features and one of them is Suspicious Link Indicator feature. The feature basically tags a ‘Suspicious Link’ and warns users before the link. As of now, the feature is available only for the iPhone and Android Beta users. But we expect it to be available to the Android users very soon. To combat the spread of fake news, WhatsApp has reduced the Forward Message limit. 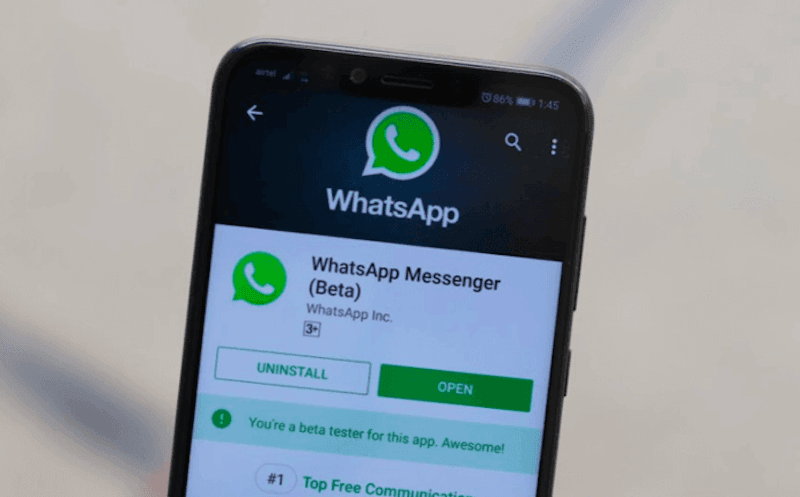 It is important to note that this feature has been introduced only for the Indian WhatsApp users after several lynching incidents were reported due to message forwards. The Forward message limit has been reduced to five users at a time in India, while globally WhatsApp allows users to forward messages for up to 20 chats. In addition to all these aforementioned features, WhatsApp also introduced group video and voice calling features. Both these features are no available for Android and iPhone users. As the names suggest, the WhatsApp group video and voice features let users call more than one person at a time. Both the group video and voice features are limited to only four people at a time.